We’ve got some great news we would like to share with you! 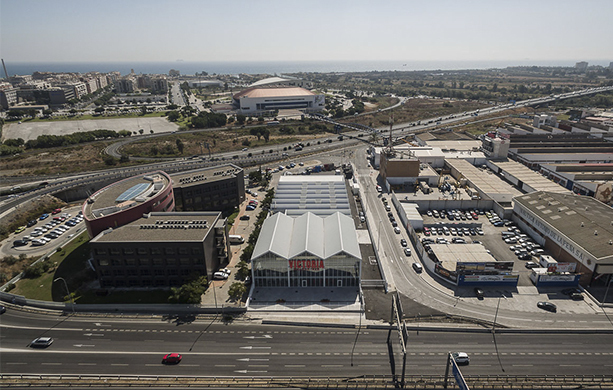 GANA’s design for the Victoria New Beer Factory in Malaga, has been nominated for the ‘Building of the Year‘ 2018 Award, launched by the international platform Archdaily (over 2 millions followers around the world), on the Industrial Architecture category. This is a huge honour for us, that it would have been impossible without all those professionals that collaborated with us during this project, specially the whole Victoria’s Team. In this case, we can do nothing but dreaming and why not, encouraging you all to vote for our project, in order to spread the brand Malaga all around the world. We have just 8 days to show that we can also win this kind of awards! Here you can find the link to our project’s nomination. Throughout this 8-day nomination period anyone can register on the My ArchDaily platform to select what they think are the best buildings, although every user can only vote for one building in each category! Today is one of these days when we feel obliged to enjoy this amazing happiness and to thank you all for your help.